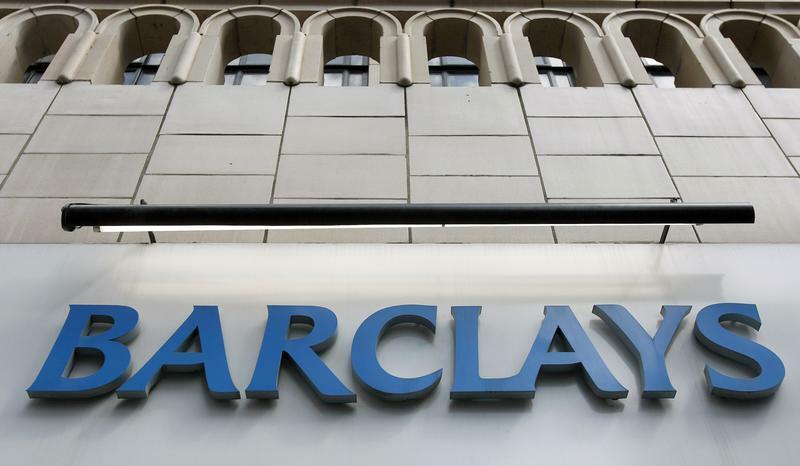 Barclays has shown why it needs to “do a UBS.” Both the UK bank and its Swiss peer had a rotten time in their fixed-income trading operations in the first quarter, numbers released on May 6 show. The difference is that Barclays is only just understanding a problem that UBS attacked 18 months ago. Weakness in fixed income, currencies and commodities (FICC) is a sector-wide theme: year-on-year, JPMorgan’s FICC business fell 21 percent in the first quarter. Barclays’ 41 percent and UBS’ 38 percent drops are worse not only because of peculiarities like reporting in non-dollar currencies and an unfavourable product mix. Both banks’ FICC units are in flux. For UBS, that’s not surprising. In October 2012, the Swiss bank became the first major investment bank to pull back from offering the full gamut of advisory, fixed income and equities services. Instead of battling volatile market conditions and onerous regulatory FICC capital requirements, it slashed fixed income and reorganised its business to reassert the primacy of its wealth management franchise. The stock re-rated and is now 30 percent higher. Even though the bank now reckons it could take a year longer to reach its 15 percent return-on-equity target due to regulatory requirements to guard against future litigation risks, the credibility it has built up means its shares shrugged this off. Pledging a special dividend helped. Being a late starter makes it tough for Barclays to copy UBS. But a UBS-style pullback is harder for the UK bank to implement too. FICC is the biggest and most prestigious part of its investment bank. Even after a 50 percent year-on-year dip in quarterly pretax profit, investment banking still supplied 40 percent of the group total. And Barclays doesn’t have an obvious global business like UBS’ wealth management franchise that it can pivot around. Still, the latest grisly figures – including a hapless return on equity of only 4.7 percent in investment banking – remove any lingering doubts that change is needed. The UK lender’s strategy day on May 8 provides a chance for a reset. Even if Barclays can’t exactly copy UBS, it should be as radical in fixing or exiting low-return businesses. A Barclays bank branch in, central London. Operating income in UBS’ foreign exchange, rates and credit division fell 38 percent year-on-year to 382 million Swiss francs in the three months to the end of March, the Swiss bank said on May 6. Operating income from Barclays’ fixed income, currencies and commodities division fell 41 percent to 1.2 billion pounds in the same period. UBS said it could take until 2016 to reach its target of a 15 return on equity at group level, a year later than previous estimated, after it raised so-called operational risk-weighted asset requirements following discussions with the Swiss regulator. These RWAs are intended to reflect forthcoming regulatory or litigation risk. UBS also announced it would restructure itself to become more easily resolvable in a crisis. Shareholders will be asked to swap their shares in UBS’ current corporate structure into a new group holding company, also based in Switzerland. The bank reckons improved resolvability should enable it to pay a special one-off 0.25 Swiss franc per share dividend to investors when the process is completed. The Swiss bank reiterated its plan to pay out half of profit to shareholders via an ordinary dividend in 2014. It will do so provided it can maintain its Basel III core Tier 1 capital ratio at 13.2 percent and achieve a ratio of 10 percent when applying its own stress tests. UBS shares rose 1 percent to 18.5 Swiss francs on the morning of May 6. Barclays shares fell 4.4 percent to 247 pence.